"The physician told me that I just need some eye drops that contain Corticosteroids and the problem would be fixed. I took it, and it really seemed to be gone – but in reality it was far from gone." 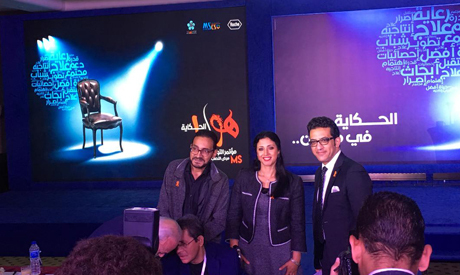 The courageous Mai Qubtan, a 49-year-old engineer, was describing the double vision she experienced in 1995 just after graduation, which was misdiagnosed , and which she later discovered to be the initial symptom of Multiple Sclerosis (MS). 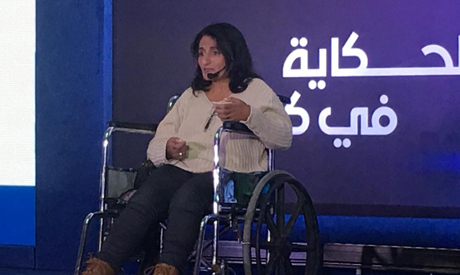 Addressing attendees on her wheelchair at a conference organised by Egypt's MS Care Society (MSCS) and the Arfa MS Society on 22 November, Qattan described the bewilderment she experienced at the time. "I had no clue what was happening. I told people there was a problem with gravity! To an extent I was in denial; I thought the problem had nothing to do with me," she said. 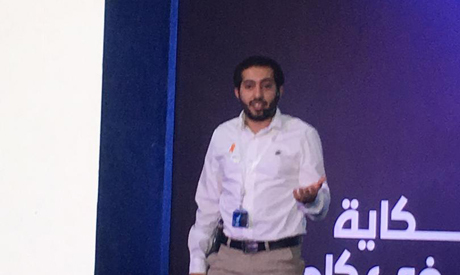 "The misdiagnosis continued, with doctors telling me I need an operation to ease the recurring numbing in my hands and so on, until a young doctor in 2000 identified my condition as MS."
Another story was told by Awad, a young Saudi who narrated his journey with diagnosis starting 2008. Since then, he has been pushing past his condition by participating in official marathons worldwide. "I have come a long way since the initial shock and denial, and now it is crystal clear to me that what hinders people living with MS is not the condition, but rather the fear embedded in their mindset," he said with a beaming smile. Qubtan and Awad are not alone. According to the statistics provided by the World Health Organisation, 30 out of every 100,00 people suffer from the disease, totalling up to 2.5 million patients worldwide. It is also notable that women are twice as likely to develop MS. After road accidents, MS is the second most common cause of disability around the world. The interactive forum was headed by Dr Amr Hassan and Dr Dina Zamzam, both assistant professors of neurology at Cairo University and Ain Shams University respectively. They conducted the forum, which was titled 'What exactly is the story? ', in the gripping form of an interview, explaining the condition and highlighting its challenges. The doctors proposed the hypothetical of imagining a young man or woman, as young as 20 years old, struck by an immunity disease and facing the possibility of being unable to talk, walk, or live normally within a short number of years. This is the tragedy of MS if left untreated. They explained that MS is a disease whose causes are still shrouded in mystery. For some reason, the autoimmune system attacks the body's own tissues, eventually destroying a fatty substance that protects nerve fibres in the brain and the spinal cord. Experts say that in Egypt, the most recent statistics by the Ministry of Health show that MS cases comprise 1.4 percent of all neurological diseases, and that the number of sufferers around the country is between 25,000 and 40,000. The major problem with MS is that it usually strikes at an early age, affecting those between the ages of 20 and 40 in 70 percent of cases. The event also introduced the most recent survey conducted by private pharmaceutical company Roche. The survey, conducted on a pool of 3,478 people living with MS, aims to shed light on the social ordeal people living with MS face in their daily lives. The survey showed that 97 percent missed major social and family-related events due to attacks or symptoms. Forty-four percent avoided planning ahead in fear of potential attacks, while 43 percent avoided social commitments out of the same concern. Forty-six percent suffer job loss, and 58 percent are in constant need of help from a family member in their daily lives. Other challenges that still persist are a lack of awareness of the disease and the incidents of inaccurate diagnosis. The doctors stressed that the earlier treatment begins, the better chances a patient has to remain in the first stage of the disease and not progress to more advanced stages. They added that the role of the media is pivotal, as successful treatment for this disease is based on early detection, and therefore there is a need for comprehensive awareness and education campaigns. This is because MS is often mistaken for other diseases, such as Rheumatoid and Lupus, which manifest with similar symptoms such as numbness in the limbs, double vision and exhaustion. "What exactly is the story?"